The Cuban ancient city of Trinidad, along with the Valle de Los Ingenios (Valley of the Sugar Mills) —both located in the province of Sancti Spiritus, central Cuba—, were the first sites of the island to be granted the recognition of Cultural Heritage by UNESCO, back in 1988. The outstanding universal values of this village, founded in the early 16th century in honour of the Holy Trinity, were key factor to determine its inclusion in this list, where there are just a few other Cuban places. The prosperity of Trinidad during the 18th and 19th centuries and the remarkable testimony of the Valle de los Ingenios concerning the development of the sugar history, are mandatory when referring to this southern Cuban territory. The region excels for the authenticity of a great deal of features which have been well preserved over the years. The Valley exhibits a number of farms and components of the sugar industry, including cultivation areas and a railroad. All the farms are being gradually renovated for tourist purposes, while an the old steam train that dates back to 1906, is runnig again over the rails in daily tourist tours. 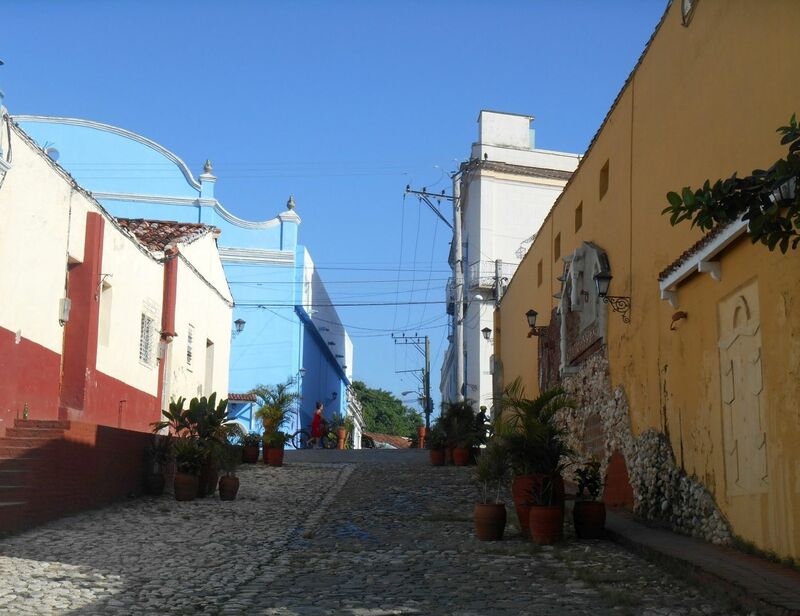 This entry was posted in SANCTI SPIRITUS. Bookmark the permalink.